Chop up cauliflower in medium chunks and place in a large skillet. Add a cup of broth and the garlic cloves. Cover and bring to a boil over medium-high heat. Cook, covered, until the cauliflower is tender when pierced with a fork. Process the cauliflower, garlic, and broth in a food processor with the butter and salt. If the mixture is too dry to process, add more broth. If you like a chunky texture, leave it chunky, or process until smooth for a dish many people will think is mashed potatoes. 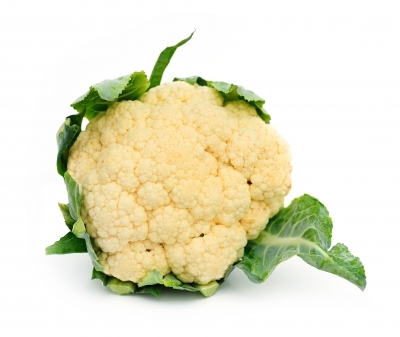 Variation: Steam the cauliflower with broth or water, and add ¼ cup of heavy cream to the food processor. The cream makes it taste even more like mashed potatoes. I have served both versions to people who hate cauliflower, and they ate it all up.